Beautiful Science® “Papaya Day Moisturizer” is an effective moisturizer specially formulated to balance the skin perfectly, protects from UV rays and other external aggression and gently cleanses the skin without stripping it of moisture and nutrients. 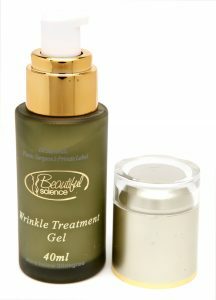 The unique composition of the gel, amplified by the natural moisturizers will provide a sensitive and effective care for the skin in an unfavorable environment of the Sydney city. Constantly cool weather makes the skin parched and flaky. The low humidity of the atmosphere dries the skin. Central heating, space heaters and fireplaces all are used to help reduce the level of humidity. To combat dryness, try this natural remedy that experts recommend for beauty. Does not contain sodium lauryl, laureth sulfates, sodium, parabens and phthalates. Free of artificial colors and synthetic fragrances. Not tested on animals and contains no animal products. Apply papaya day moisturizer sparingly, leave on. Rinse, then continue with your regular treatments. CARE: do not combine with any other treatments, such as Kojic or Beta/Alpha Hydroxy Acids. This treatment works at a neutral pH. Excellent for normal, dry & very dry skin.